4 Important Lessons for the Super Eagles - AFCON Failure ~ The Big Thing In Town!!! 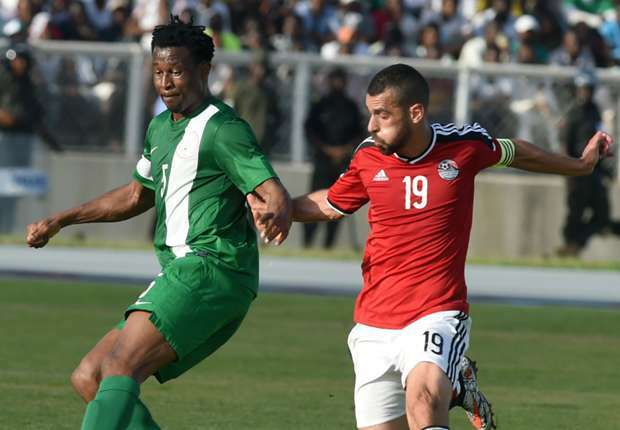 The Super Eagles of Nigeria were beaten in Alexandria by the Pharaohs of Egypt on Tuesday, spelling the end of their quest to qualify for the 2017 Africa Cup of Nations (AFCON). Nigerians are sad and angry over this development, but this is the time to learn important lessons that may help to forestall future recurrences. Here are just four of them. The instabilities/inconsistencies in the choice of the team handlers, team captains and match venues from time immemorial have shown that the stability of the team is affected. Since the AFCON qualifiers started, Nigeria has changed three coaches in the three matches played so far. Captains were also changed thrice: Vincent Enyema to Ahmed Musa to Mikel Obi. The team management and team selection process has always been a major problem from Stephen Keshi’s resignation/sack to the employment of Sunday Oliseh, and his unexpected resignation and the distractions that came with it. Drafting in Samson Siasia and Emmanuel Amuneke after Oliseh’s departure was always going to be a huge challenge to team stability. “Failure to plan is planning to fail,” they say. While Egypt was busy playing friendly games in preparation for the double-header against Nigeria, Nigeria was preoccupied with internal wrangling with either the coach in charge or one problem or the other. When Nigeria failed to qualify for the 2015 AFCON, the Nigeria Football federation (NFF) never saw it as a means of self-check, and of correcting all the mistakes and implementing the restructuring that our football needed. Super Eagles coaches might have shot themselves in the foot with their fear of the unknown. Kelechi Iheanacho, Alex Iwobi and some very fresh talents called into the team might have saved Nigeria in the two games against Egypt if given enough time to prove what they could do. Kelechi was upwardly mobile, penetrating and a big threat to Egypt in Kaduna but the coaches probably thought they needed players with more experience. Same for Alex Iwobi in the two games. It turned out that Nigeria absolutely struggled in Alexandria in moving forward and in transition until Iwobi was brought in rather too late. But immediately he was introduced, the game completely changed with his youthful vigor and desire. If Iwobi had started the game or early in the second half, the result could have been different. One of the Nigeria’s biggest moments in football can be traced to the days of a stable and consistent first-team starting eleven. Winning the African title in 1980, winning the same championship in 1994 as well as the 2013 edition, the media and the fans could close their eyes and pick at least eight players who would start any game. It was the same situation when Nigeria won the Atlanta 1996 Olympics and excelled at the 1994 FIFA World Cup. But in the recent Super Eagles, the starting eleven is so inconsistent, thus the team lacks team bonding and understanding, as it is perpetually in transition due to frequent changing of coaches and the resultant change in the invited players.